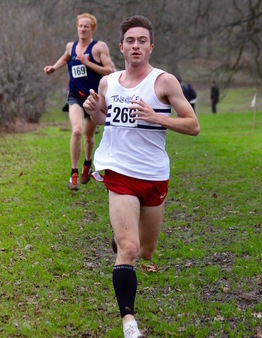 Ryan Driscoll has run 8.10.44 for 3000m in Seattle on Saturday, racing indoors for the University of San Francisco. This is the third TAC athlete to go sub 8.15 this indoor season; Robbie Farnham-Rose and James West being the other two. Provisional results are on the Results 2016. Senior men - 19 starters is a TAC record by 8. The team finished 4th, beating the highest ever position for TAC from two years ago. The team placed 3rd in the 12 to score result. Ben Cole was first home in 20th. Senior women - Team 21st and first time ever that TAC have completed a team !. Both Ashley Gibson (8th) and Nicole Taylor (15th) were inside the highest ever TAC individual position ever recorded in the race. Under 20 men - 2nd team, losing by just 3 points to Aldershot, 25 to 28. Max Nicholls was the first TAC winner of the event since Spencer Newport in 1986 and Andrew Hollens in 1985. Chris Olley 4th and George Duggan 8th. 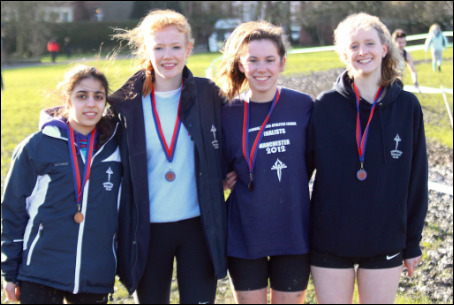 Under 20 women - 3rd team and third year in a row TAC have won medals. Chloe Bird was first home in 21st. Under 17 men - 2nd team, losing to Cambridge and Colleridge by 5 points. James Puxty 4th, Alasdair Kinloch 5th. 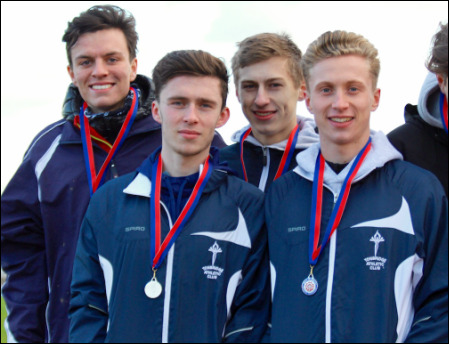 TAC u17 men teams have won medals 10 years in a row now ! Under 13 boys - 1st team. Matthew Taylor 6th, Fraser Gordon 8th. 13 starters is an equal TAC record. Under 13 girls - 6th team. Katie Goodge 2nd and equal highest ever TAC position. With digital photography being around for more than a decade its relatively easy to go back in time with TAC and see how we did in the past. Ten years ago, in 2006, we travelled on a bus with no heating to a very cold West Country for the Southern Championships. We had 36 runners (no seniors) and came away with two team and two individual medals. 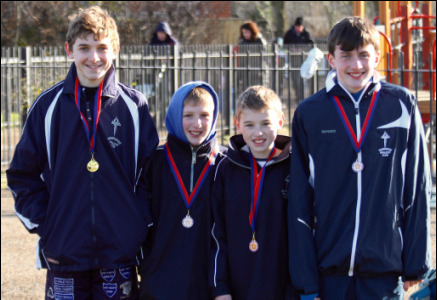 The under 13 boys were 2nd and the under 15 boys won, with Kurt Wolfe (2nd) and Seb Harding (3rd) being on the podium. There are not many from 2006 still running 10 years later, although Pandora Banbury (u13 then) is back training, plus Catherine Symons, Andy Combs, Michael Mason and Sam Bradley still appear at the club. 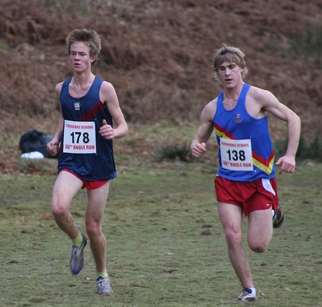 However, the only runner due to run at Parliament Hill this weekend, who was at Exmouth ten years ago is Dan Bradley, who back then finished 44th in an under 20 race, won by Andy Vernon of Aldershot (see below). 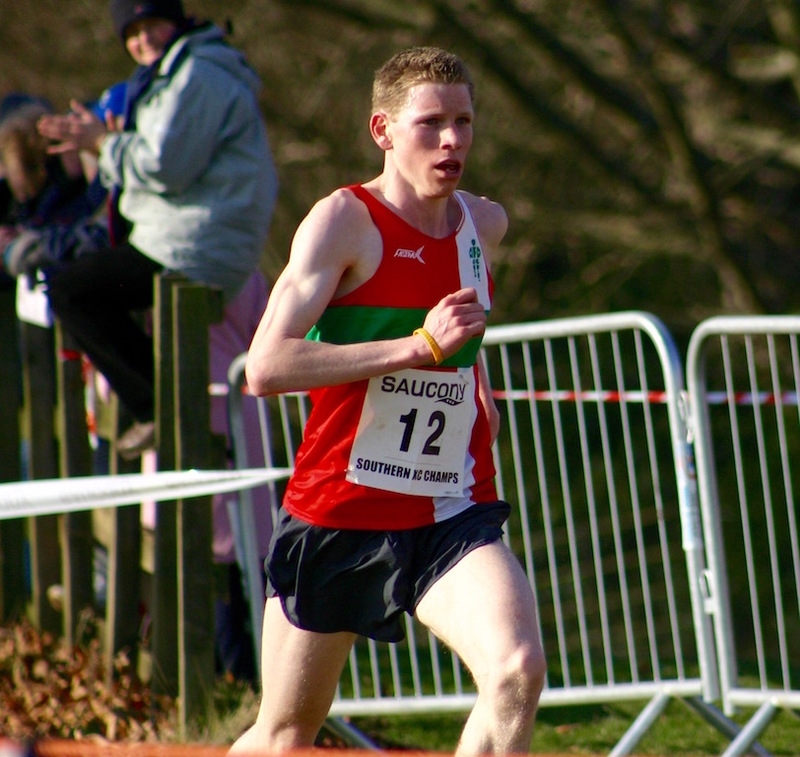 On Sunday Alex Howard missed the British Cross Country Challenge, having gone down with an illness. Full results, are on the Results 2016 page. 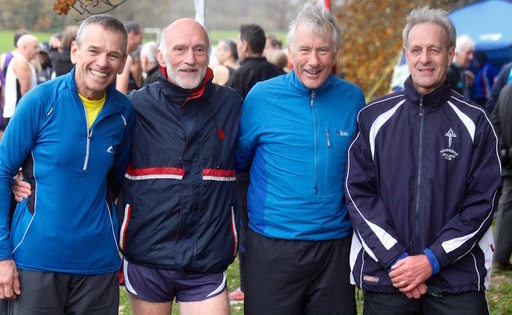 ​The schools age groups are a year different from the club events in the Winter, which means some different runners are pitched against each other. 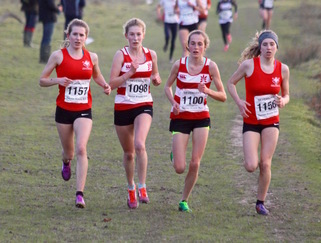 Places for the Kent teams, at the English Schools Championships, were at stake, with the top four in the Junior, Inter and Senior races gaining automatic selection. Thirteen TAC runners managed this. Year 7 Girls - TAC had four of the top ten, as 101 finished. 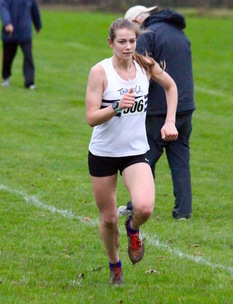 Maddie Wise placed second. Year 7 Boys - Fin Croll had an excellent win and TAC had seven of the top twenty. Junior Girls - Katie Goodge was an impressive winner, despite being 'bottom' of the age group, whilst TAC had four in the top ten. Junior Boys - We will claim the winner Finn Harvey as TAC, since he is a second claim member, being a pupil at Tonbridge School, which made eight in the top twenty. 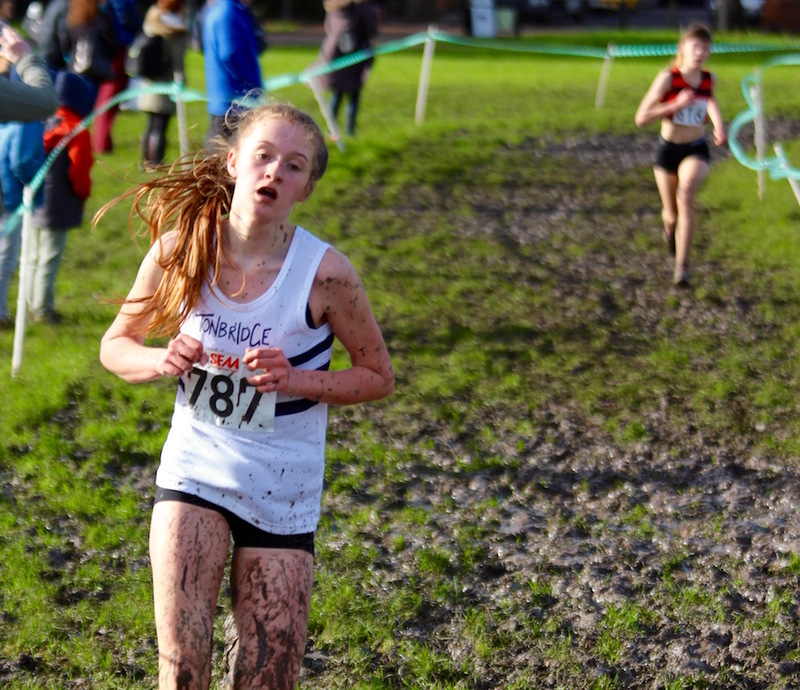 Inter Girls - Phoebe Barker bounced back from a tough Knole Run the week before to finish third, as the Inters were generally stronger than the seniors, who ran with them. 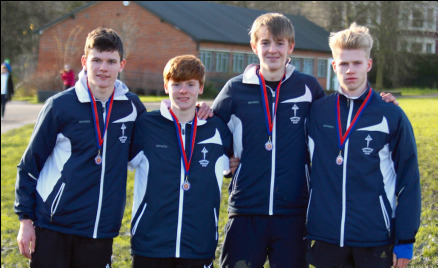 Inter Boys - TAC were quite dominant, filling the first four places, headed by James Puxty. James Stoney had a blinder in second (bottom of the age group), whilst Dan Schofield also stood out in seventh. Senior Girls - With only eleven in the race, it was the smallest field and TAC had five of them ! 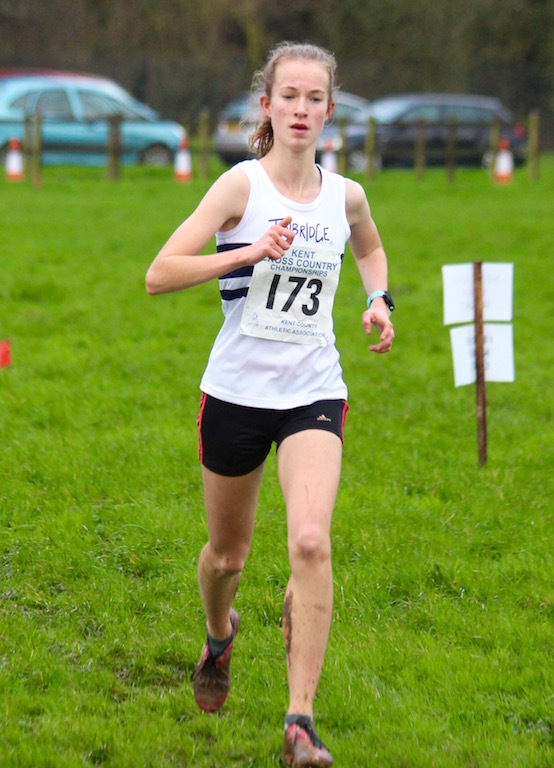 It was good to see Alice Ralph run well, after a season blighted with illness. Senior Boys - There was a surprise at the front as Ally Kinloch had a blip in his season's form to place third, with Jamie Goodge in second. All eight TAC were in the top thirteen. Matt Harvey was rewarded with 20 points as he was the only TAC runner to run at Orpington last Saturday, this catapults him up to 5th place overall. He ran 19.46 and came 3rd overall, which considering the muddy sections and undulating nature is very impressive. Next qualifying run is Feb 6th at Tonbridge. Sophy Slack still tops the league table. I think that Scarlet Coates may have been the only TAC runner in action at the Sussex Schools Championships, on Wednesday. 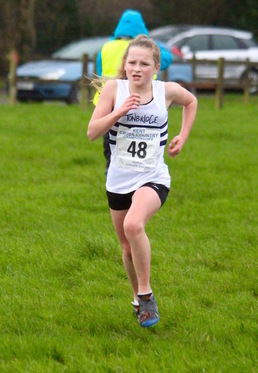 Scarlet finished an excellent 25th from nearly 200 finishers in the Junior Girls race. Full results are on the Results 2016 page. 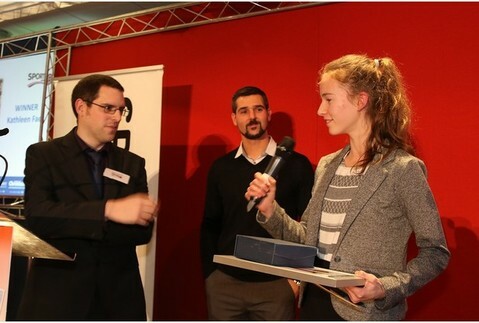 Kathleen Faes won the Sevenoaks Chronicle Young Sports Star Award for 2015, on Monday night and was presented with her award by Glenn Garrett, the sports editor. 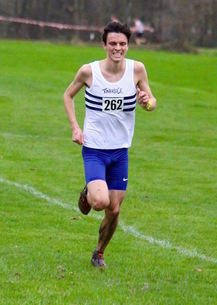 Nathan Marsh, running for Leeds University, finished 9th in the varsity match against Leeds Beckett University. 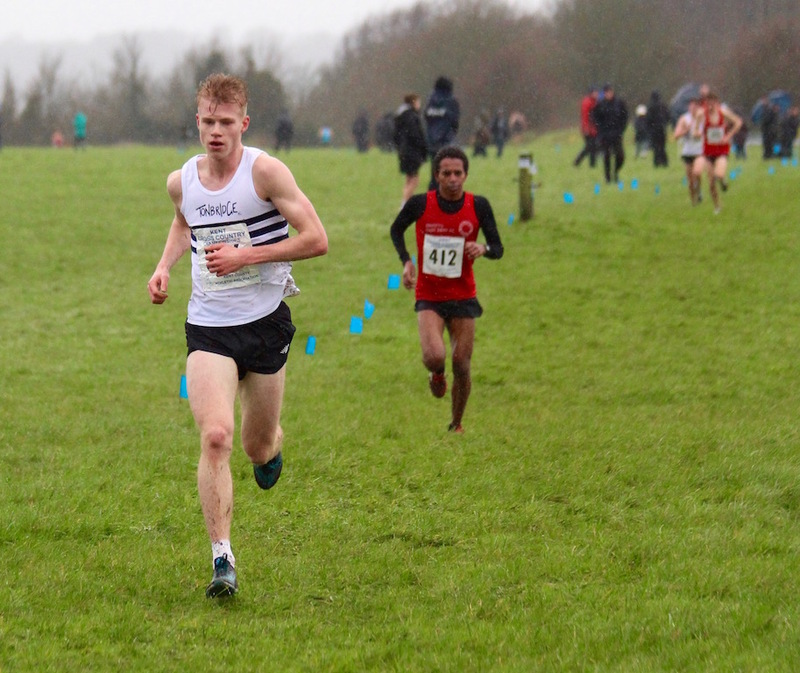 Nathan was the third Leeds Uni man home and has been selected for their A-team to compete in the BUCS championships in early February. 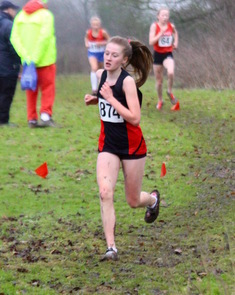 Sophie Foreman (Warwick Uni) and Saffron Salih (Birmingham Uni) competed in the Midlands League and finished 32nd and 50th, respectively. Full results are on the Results 2016 page. Robbie Farnham-Rose has run 8.08.77 for 3000m in USA, which is the fastest by a TAC athlete for at least 15 years. The first half was covered in 4.06, so hopefully there is more to come from Robbie as the year progresses. 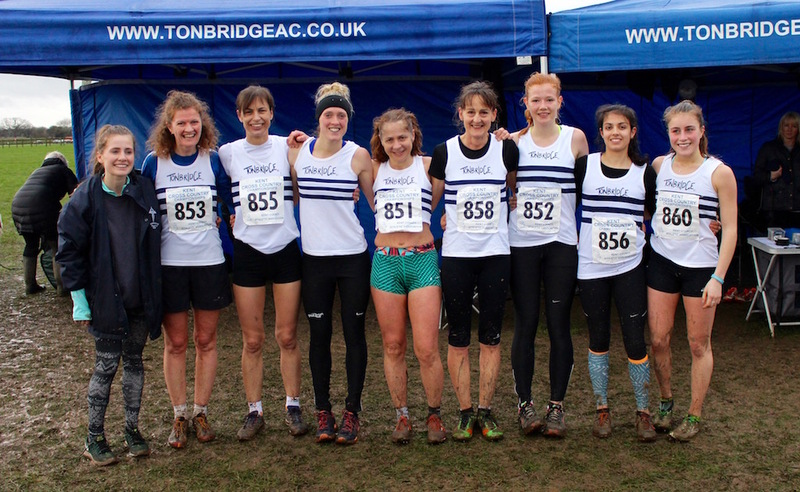 Tonbridge AC runners had success in both the girls and boys races. The girls race is due to start at 2.30pm and the boys 10 minutes later. 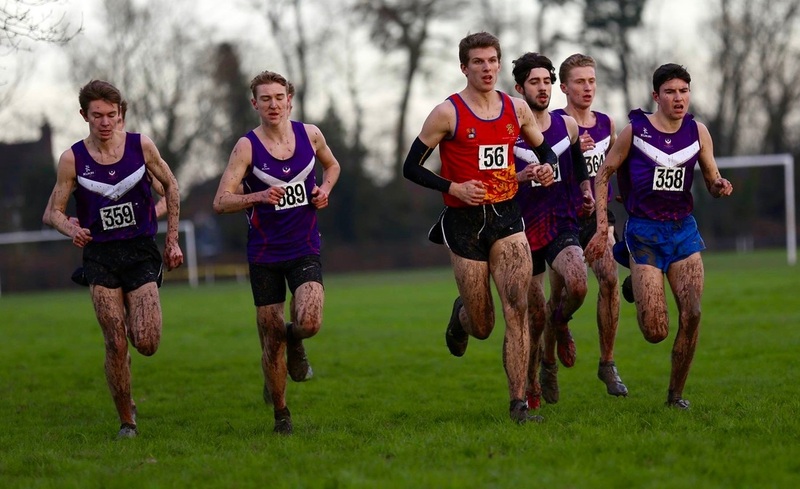 George Duggan and James West are due to race, in an event being used as a trial for the Loughborough University BUCS team. Note the Midland Womens League is at Gloucester and could also feature TAC members. 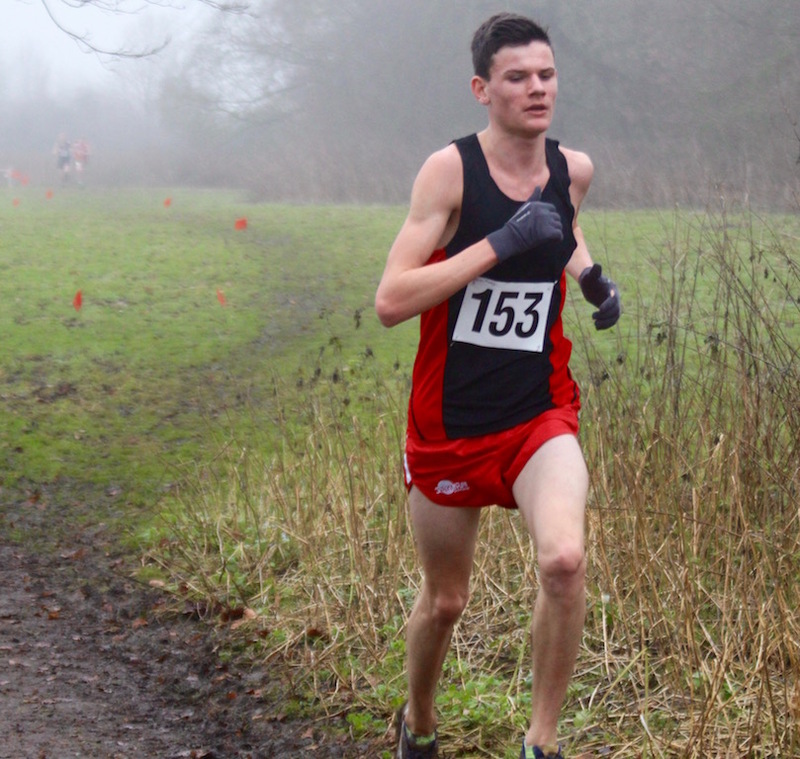 Robbie Farnham-Rose is due to open his indoor season in the USA, racing 3000m for Alabama. The race is at 10.35pm UK time. The Knole Run takes place on Saturday. Unfortunately some of us can recall many of those over the last 40 years or so ! 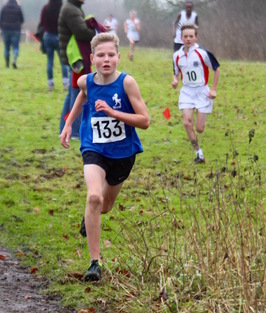 Wednesday - Jack Keywood finished a fine 2nd in the East Anglian Cross Country League, at Norwich. 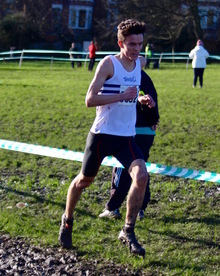 Thursday - Harry Paton was 13th in the RAF v Police v Fire Service v Civil Service cross country race. The updated Fantasy League table is on the FL page, with quite a few changes in positions. Now added are the update 'Athlete Averages' table, alongside Ian Crawley's Latest Blog. TAC had mixed fortunes at the British Milers Club Indoor Meeting, at Sheffield on Sunday. 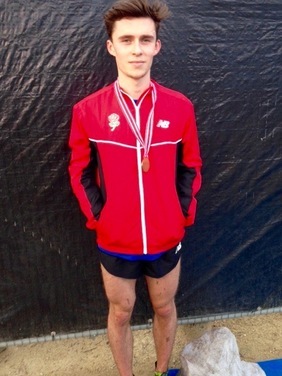 James West finished 5th in the mens 3000m A race in a new personal best of 8.14.49. This took nine seconds from his outright pb set at Watford at the end of the Summer. However, there was bad news for Miles Weatherseed (1500m) and Dom Brown (3000m) as neither finished their races, one with a stomach issue and the other with a hamstring problem. On Saturday, Luca Russo, ran 800m in 1.55.96 to finish 4th at Champagne, Illinois. Luca was back in the USA after the Christmas break and racing for the University of Missouri. 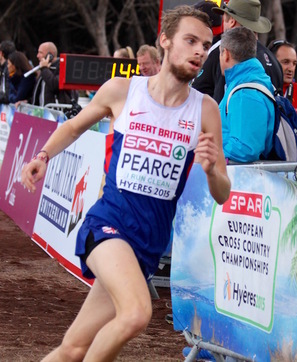 On Saturday a below par Henry Pearce finished 30th at the Great Edinburgh Cross Country International, racing for the GB mens team. As seems to be traditional now the wind, rain and mud greeted all the competitors and supporters at the Kent Championships. I can assure you that not only does it making competing tough, but getting photos and videos is a nightmare ! Full results and the summary are on the Results 2016 page. 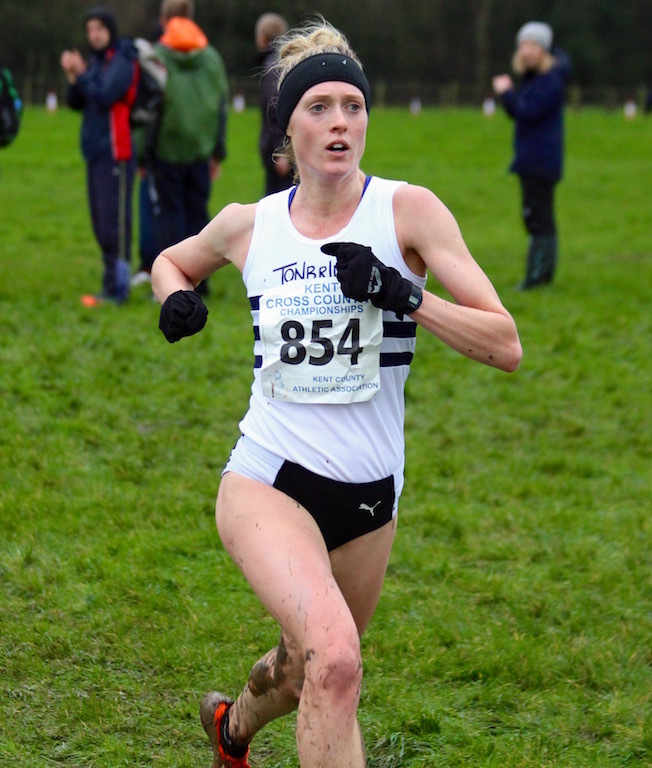 Chloe Bird was maybe the heroine as she only declared her calf ok to race, the evening before and her 12th place gave the team victory, our first since 2012. Ashley's victory was only the second for TAC in the race history, as Deirdre McDermot won a couple of years ago. Under 20 Men - 1st team, 2nd Stuart Brown, 3rd Euan Nicholls. The team win made it 9 years in a row that TAC have won this event. A couple of illnesses in the week dashed the chance to have a complete team. The team win made it 10 years in a row that TAC have won this event. Ally's win was the first since Corey De'Ath in 2013. The last time TAC won the team event was in 2012. The team win made it 11 years in a row that TAC have won this event. Incredibly it is the first time since 2005 that TAC has not had the individual winner. Under 15 Girls - 1st team, 1st Kathleen Faes. It was TACs first team win for 6 years. The last time TACs team didnt finish first or second was 2002. Under 13 Girls - 2nd team, 1st Katie Goodge. Katie is the third TAC winner this century after Alice Wood and Kathleen Faes. We have a busy weekend coming up, with hopefully a record number of TAC competitors starting at the Kent Championships, at Brands Hatch. The club also has entries at both the Sussex and Surrey Champs (Sunday). 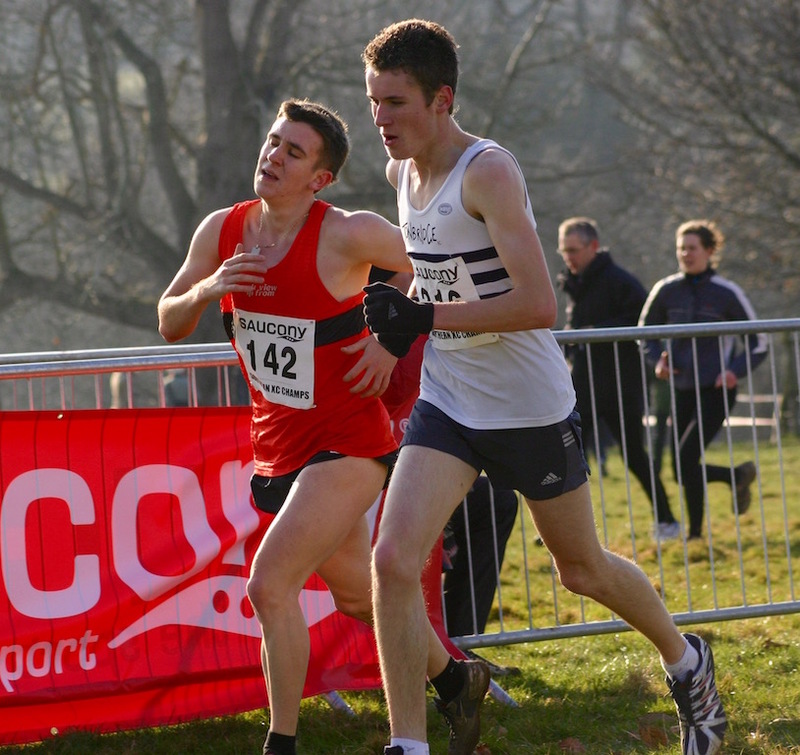 On Saturday Henry Pearce races for the GB mens team, alongside Mo Farah, at the Great Edinbugh Cross Country Meeting. This is being shown live on BBC1 from 1pm. 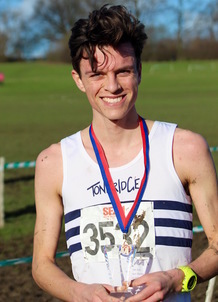 Henry Pearce has been called into the GB senior men's squad for the Great Edinburgh Cross Country International this coming Saturday, 9th January. This will be the first senior international vest from a member of the current TAC squad and Henry will line up alongside Mo Farah in the televised event. The programme starts at 1pm on BBC1. With the weather conditions as bad as anything that we have seen, so far this Winter, we moved the monthly 1 mile races onto the track. It might have meant that there were no fallers, but with parents generally huddled under a roof there were more opportunities to give up ! I am pleased to say that there were some toughies out there and the first home were Ollie Hill and Beth Lednor, both from TAC. Mostly different runners today, Cain Bradley has moved to equal 3rd and along with Aimee Holdstock, John Ridge and Indiana Winter has completed 4 scoring runs so far. Andrew Mercer and Daniel Bradley (1st and 2nd in age grading TAC) who are both previous winners of the GP registered their first scores for the winter. See the Parkrun page for the latest league table, headed by Sophy Slack. Park Run update before tomorrows next GP round - see the Parkrun page for the latest league table, headed by Sophy Slack. Happy New Year Everyone and best wishes for 2016 ! ​Can it be any better than 2015 ? As we move into 2016 I wish everyone a happy New Year and let's hope that TAC Distance Runners can move on again, over the next 12 months. 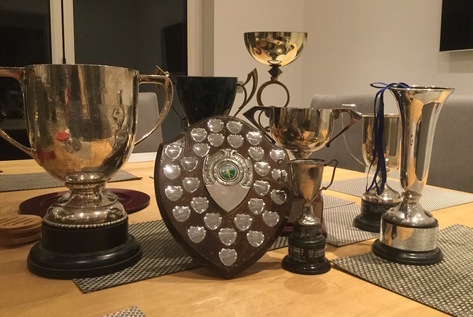 In my mind, 2015 was probably the best year so far for the Tonbridge AC distance runners and as a reminder here are ten of my highlights. Apologies for number 10, but he is my own son and I rarely give him a mention ! There were many more that I could have added to the list and am happy to take requests via email, text or twitter message. If there are enough votes I will do another ten. Ian's latest blog, updating us all on the movers and shakers in the Fantasy League, after the Boxing Day handicap, is now loaded on the Fantasy League page. 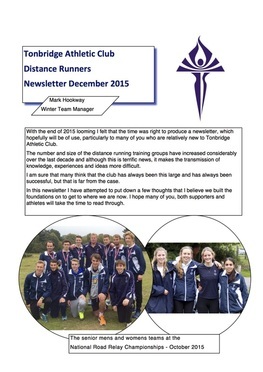 As we are nearing the end of 2015 and also about halfway through the cross country season, I have put together a newsletter. 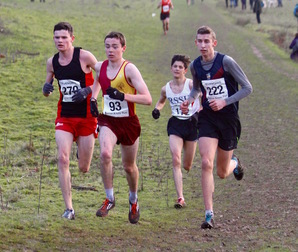 The prime aim is to highlight some thoughts, in terms of the development of young distance runners, but also publish some information that might be useful, especially to relatively new club members. At the end I have attached a couple of articles that were published in Athletics Weekly in recent weeks. The file is too large to email to everyone, but I hope that quite a few of you take the chance to have a read over the next few weeks. We had another great turn out this morning with about 60 completing the tough hill session. On top of this it was a beautiful, sunny morning in a picturesque location. Happy New Year to everyone and hope to see plenty of you on Saturday morning. Michael Ellis has updated the league points and table, following todays Christmas Pudding Handicap. See the Fantasy League page for details. Simon Fraser tops the FL, as we go into 2016. 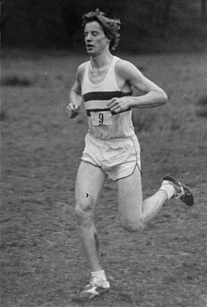 William McCarthy was the overall winner, from Pete Ebbage. Fastest laps were recorded by Corey De'Ath and Kathleen Faes. I cant recall a previous race which had such a mix of 'names' from the past making an appearance, alongside the current crop. Individual times are on the Results 2015 page. Video loaded. Despite the wind and the rain we had 78 runners turn out for Christmas Eve training at Knole Park. It was a record number for a single training session. Photo courtesy of Richard Owen. See Training completed for times. Mark Pitcairn-Knowles has swapped the 1st January qualifying event from Bromley to Tonbridge, now that one is being staged at the 'home' event. This New Years Day run starts at 10.30am. On the Fantasy Cross Country League page you will find a Christmas blog and analysis from Ian Crawley. Of course the 'wild card' event of the Boxing Day handicap is looming, which could throw some completely different point scores into the mix. However, I am sure, like all races, it will be dependent of your teams' runners turning out. 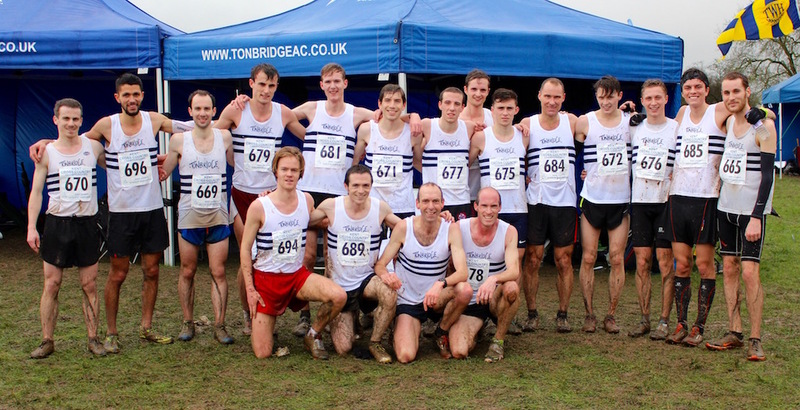 Tonbridge AC men's team had a titanic battle with Kent AC today, but in the end missed out in the 6 to score championship, by 52 to 58 points. As a consolation good packing by the TAC squad meant that the 12 to score first place was secured. Our packing was so good that the 'B team' six finished 4th overall. Max Nicholls battled it out with John Gilbert, for much of the race, but Gilbert pulled away to win on the final lap of three, over the 7.5 mile course. Max slipped to third as Steven Feroni, of Brighton, came through. 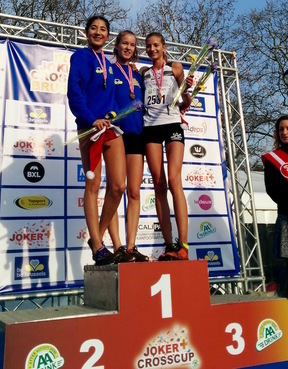 Nicole Taylor took silver in the women's race, being not far behind Amy Clements, of Kent AC, whilst Lucy Reid (4th) and Nicola Wilkinson (9th) were both high up. 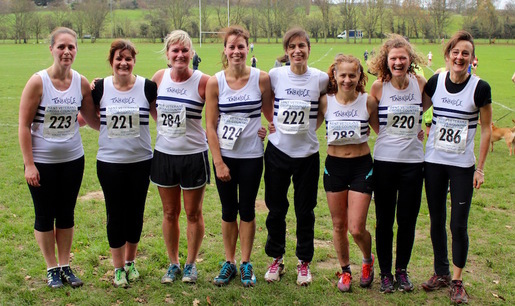 Unfortunately, with only five runners, the ladies could not complete a team. Other TAC A-team men - 6th Ben Cole, 10th Robbie Farnham-Rose, 11th George Duggan, 13th Julian Rendall, 15th Dan Bradley. Full results are on the Results 2015 page. Chris Olley has broken the TAC men's outright parkrun record with a 15.03 clocking this morning at Fulham Palace. He also regained his own course record. Simon Fraser, who is approaching his 40th birthday and full veteran status in 2016 ran 17.32 for 5th at York. Maidstone - 2nd female Pandora Banbury 22.48. To me this is probably the most pleasing result of the whole weekend, as Pandora is attempting to get back to proper running about three years after having to stop. A debilitating back condition makes it very difficult, but this time she took almost two minutes from her recent other Maidstone parkrun performances. 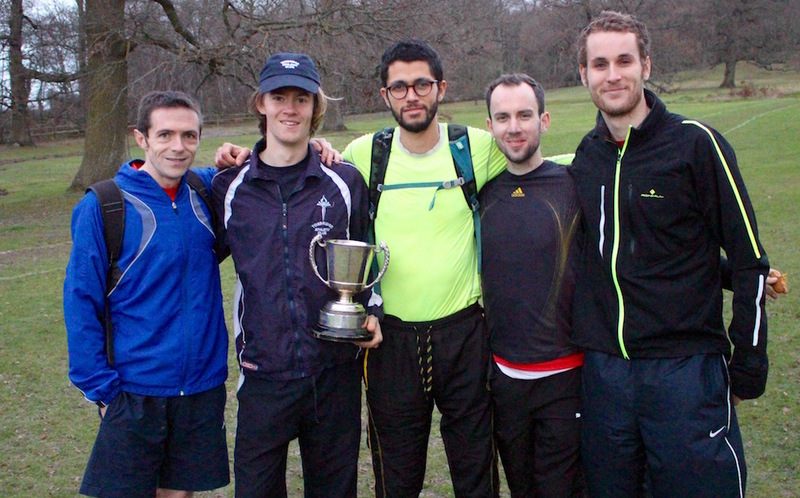 On Saturday TAC are hosting The South of Thames Association Championship race. Its a combined men and womens race, over 7.5 miles. The race starts at 2pm, at The Schools at Somerhill. TAC support very welcome ! 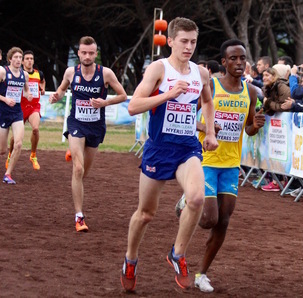 On Sunday, Corey De'Ath is due to race for an England under 20 men's team in Brussels, at the Lotto Cup international. 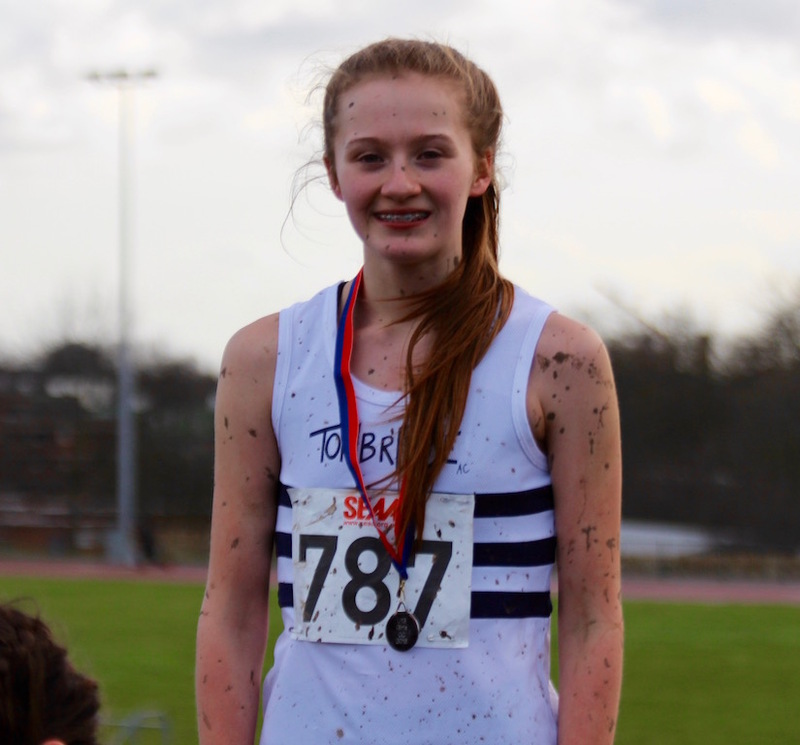 TAC Junior 1 mile race (Sunday) - There were 37 finishers with the boys category being won by George Thomas (Hilden Grange) from Albert Kreuzberg (TAC) and the girls race won by TAC's Beth Lednor. Results are on the Results 2015 page. Some video footage loaded ! 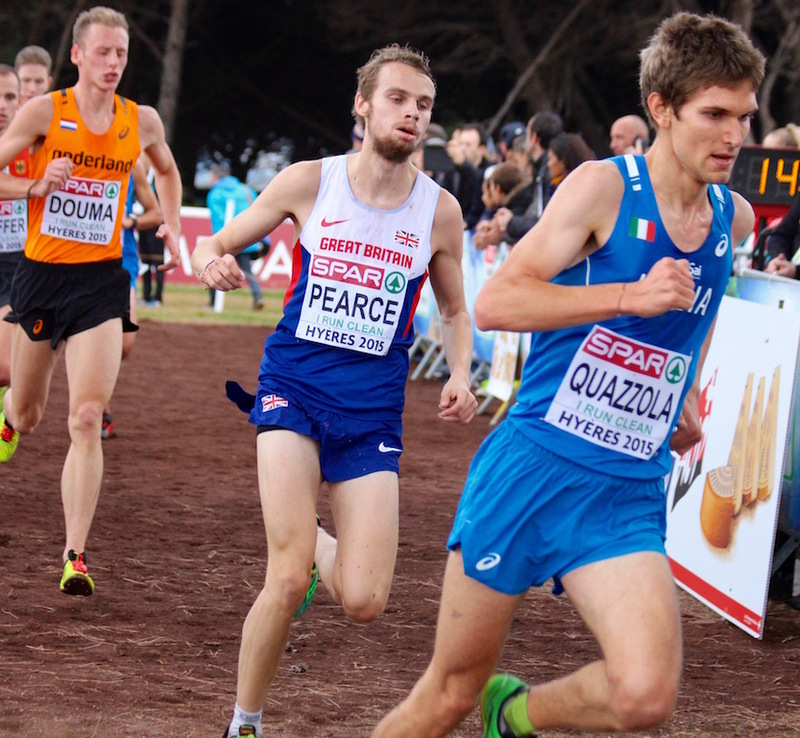 Henry Pearce (under 23) and Chris Olley (under 20) did TAC and Great Britain proud at the European Cross Country Championships at Hyeres in the South of France, on Sunday. Chris finished 17th and second scorer for the bronze medal winning GB team. Henry finished 25th and fourth scorer for the silver medal winning GB team. 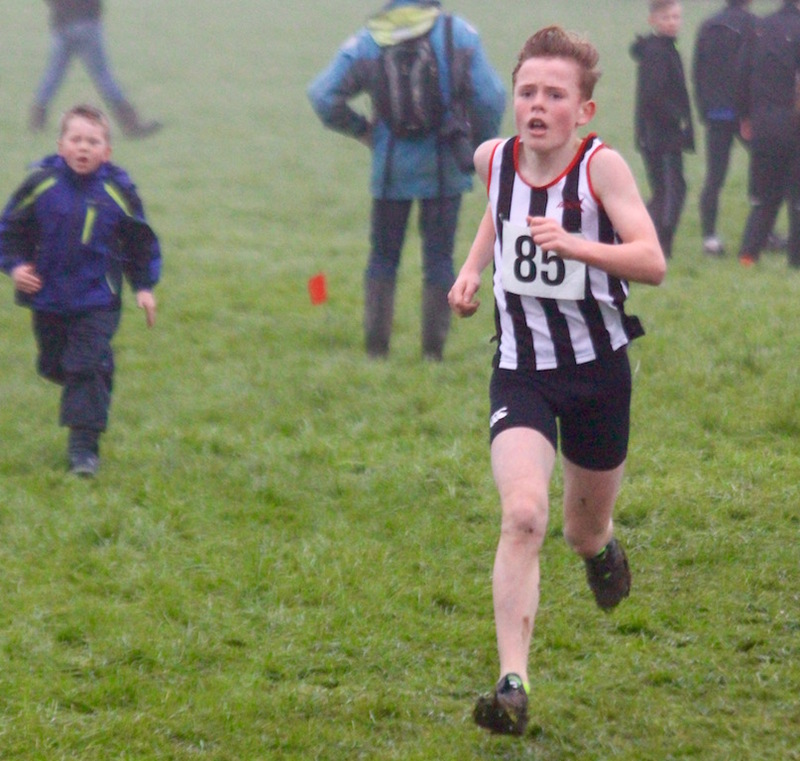 Alasdair Kinloch produced a dominant display to win the under 17 mens race, whilst Jamie and Katie Goodge had fine 4th places in their races, the u17 men and u13 girls. 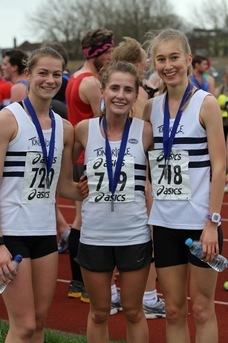 Three of the Tonbridge AC ladies headed to a very windy Portsmouth for this road race and came away with the first team prize. Leeds University Relays - results so far. Mens race won by Loughborough with James West 10.52 on leg 4 (last). Tim Faes was 3rd on first leg for Durham in 10.46. Nathan Marsh ran 11.18 on the third leg for Leeds. The fastest lap was run by Jake Wightman with 10.24 on the 1st leg for Loughborough. Oxford Vs Cambridge Varsity Match, at Wimbledon - Alex Howard (Oxford) placed a fine 3rd overall, behind two very good quality athletes. Oxford won the match. There were plenty of TAC runners competing across the age groups. High winds were the order of the day, although it did generally stay dry. 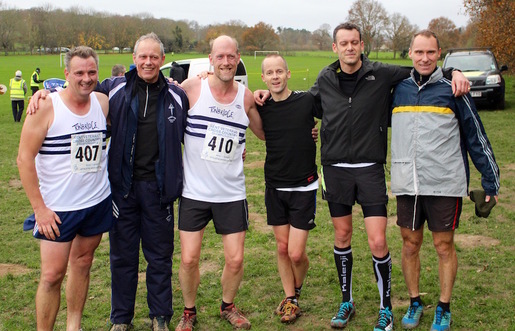 Ben Reynolds led the team to victory in the over 50s, as he won convincingly, whilst Graeme Saker finished third. 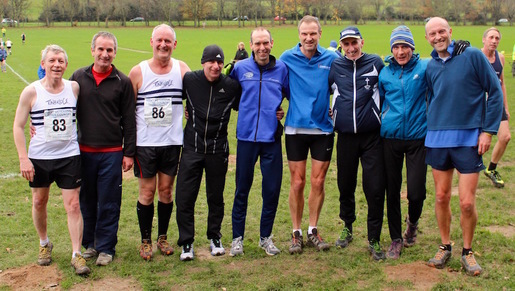 Andrew Mercer came second in the over 40s race, although the team just missed a medal, whilst John Harley also won silver in a terrific over 60s race. 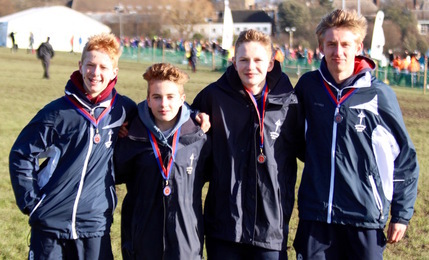 TAC runners were competing in the school colours of Sevenoaks, Judd, Yardley Court and Walthamstow Hall across three of the four cup final races. 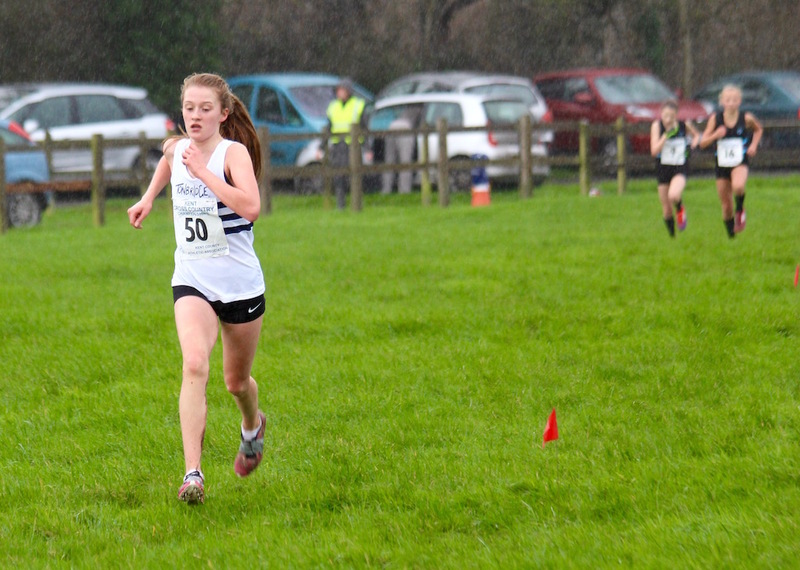 Kathleen Faes produced another convincing win, in the Inter (years 9 and 10) age group, to win by 35 seconds.